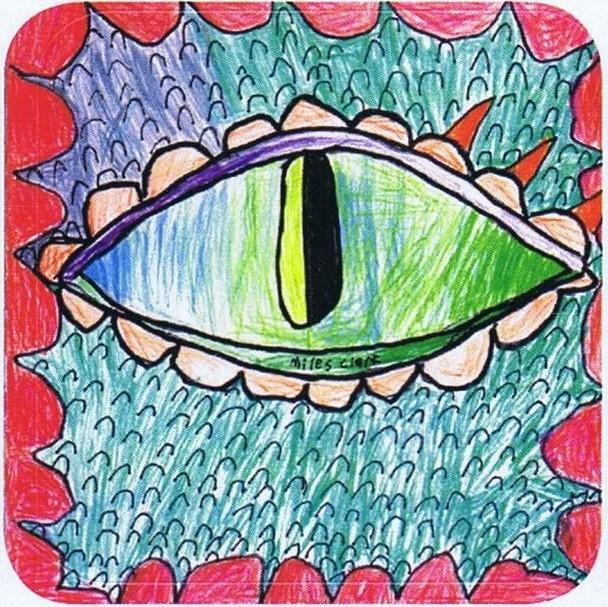 Every day we read news releases about new scientific developments, and about how the current administration is entranced with protecting the climate, and pushing “green” technology and jobs. The problem is that many of the news releases are just that, news releases meant for publicity and do not herald the great break-through they promise. You can know this by making a note of these extraordinary pieces of scientific news, and by consulting your notes six to twelve months after the news release. If you do a Google search you will learn that a significant portion of those announcements did not mature into their promise. This is not unusual. Scientists, universities, foundations, and government officials who have approved massive funding for some of these projects are under pressure to produce, so they put the pressure on the institution that got the funding. From there, the scientists are pushed to announce something. Of course, these scientists are basically dishonest in the first place, and would do anything to keep getting government grant money for their nefarious and various projects. They have to make a living, too. The Federal Government funds the lion’s share of scientific research. 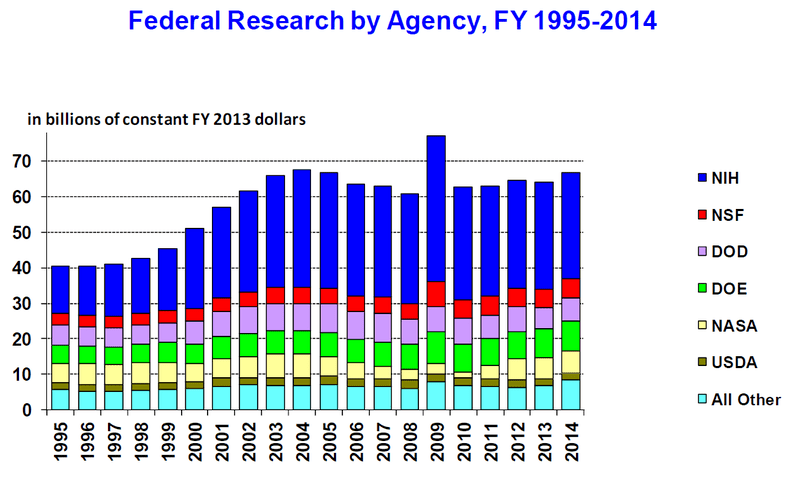 The following graph shows the Federal funding for research in fiscal years 1995 – 2011. As you can see, the spending on research in 2011 was about $60 Billion. That spending includes Defense, NASA, National Science Foundation, and about a dozen other departments and offices of the United States Government. Most of these offices dispense these funds to other institutions like universities and think tanks in addition to funding internal programs. The Federal Government supports a huge amount of university scientific research in this country. In 2009, that amounted to the Federal Government supporting about $33 billion of universities’ total annual R&D spending of $55 billion. As you can quickly calculate, this is sixty percent of the research done at our universities. About seventy percent of science and engineering graduate students are funded by these Federal funds. This is an important fact. President Obama’s proposed 2011 budget included $2.56 Billion for climate research. Since the science of global warming and climate change is settled (according to a large number of people in the research business), why does the Federal Government continue to spend billions of dollars in this field. Could it be that they still don’t know what is going on? If you are a cynical character such as I, you will consider the facts as outlined. Climate scientists education are paid by the Federal Government. Climate scientists swear that global warming is a threat to society if we don’t do something about it. The Federal Government says it can do something about global warming by establishing carbon taxes and strangling the US economy by implementing inefficient energy sources, i.e., wind power and solar power. The Federal Government pays for climate science PhD’s education, and it gets the research it demands from the academic community. University programs cannot exist without Federal funding, and the Government cannot implement a carbon tax without the questionable climate research being done. There is a symbiotic relationship between the university system and the Federal Government. This relationship results in an insidious culture with corrupt science, money, and the power. I would be overjoyed for someone to tell me how government funding of science can have any good result. The fact is that the government simply cannot manage an economy, much less the broad and complex world of science. Do you remember Solyndra? The citizens and taxpayers of the United States pay for all this research. Some of it is over the top. Some is useless. When the Federal Government funds academics, things are unavoidably political, and science becomes a charade that makes losers of us all. Spot on, Bob. Here is an article you might enjooy. I agree, this was a very informative post. I have no idea how some of my fellow bloggers have the time to put in so much work into these awesome posts. My hat to you! Jim: Interesting article. Thanks for the link. Leticia: There are all sorts of phoney things going on around us, and most of us simply don’t have the time to investigate this stuff. Fortunately, I have an acute interest in things scientific, and climate science comes up short. This comes from having an engineering degree, and knowing a little about math and science. Well, then that does make perfect sense on how well you articulate your posts. I may love science, but as far as engineering WAY over my head. Being a Trekkie doesn’t qualify me as a science buff, but I am thankful to people like yourself who stays apprised of what is happening to day. Math is my enemy, btw. We don’t get along. I am convinced that Trekkies occupy a special place in God’s firmament. Thanks for the comments, lady.